The second of the university performing groups on my list this season. This is a new chamber opera (yes, there is such a thing) first produced in 2009 in Botswana and has been performed several times in Edinburgh. 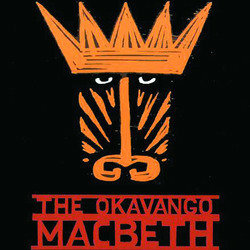 The plot takes the outline of the Shakespearian story of Macbeth and transplants the action into a troop of Baboons in the Okavango delta, Botswana. The work has lyrics by Alexander Macall Smith and music by Tom Cunningham. I thoroughly enjoyed the show itself. The story is largely very well paced, although I missed the traditional final number in an opera that conveys either the moral or the aftermath. I think the omission of this element is deliberate given the subject matter, but I felt it was a little too abrupt. The show uses actors to portray all the animals, with most of the cast playing the baboon trope from the middle of the first act to the end. There were some wonderful examples of physical movement which really gave life to the animals that were simply designated using stylised props or single garments. The three human characters were also excellently written with distinct characters. There were a number of excellent solo arias, and some surprisingly catchy group numbers. Cunningham uses reoccurring themes throughout the show to bring a sense of continuity that was very effective. I would love to see a full orchestral arrangement of the score for this show; it is currently only produced for piano. I was initially unconvinced about Ben Tambling as Macbeth until he sung his solo aria in Act Four, when he was really able to show off the upper part of his range. Not only is he a promising tenor, but he could be a promising countertenor. Some of the ensemble cast were substantially weaker, and I felt some more work could have been done on the style of the singing – there were a few voices that crept towards a musical theatre rather than operatic sound. However, the group numbers were very well balanced and the musical performance was otherwise virtually flawless. Special mention must be made also of the physicality of the whole cast. Everyone played at least two animals (other than the primatologists) using their bodies as the primary means of communication. Hours of work must have gone into perfecting the movements which were all utterly convincinh. I retain a soft spot for the owl which reappeared to indicate night falling throughout the show. There are a number of good arias, but the opera is only published as a whole. This entry was posted in Opera, Reviews and tagged 4 stars, fringe 2013, opera, reviews on 15th August 2013 by .